It’s all a matter of opinion, of course, but here’s our Top 5. Want to nominate a better one? Email us! A few hour trip from Yokota Air Base is one of Japan’s most famous shrines – National Park Nikko. The park is home to the tomb of Tokogawa Ieyasu, the man who brought all of Japan’s famous samurai warriors under one ruler. 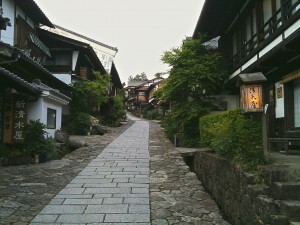 But Nikko is much more than just another shrine. National Park Nikko is a collection of temples, pagodas, gates and shrines, full of beautiful gilded statues, altars and painted ceilings. When you enter the park, you should go to the ticket window at the entrance. 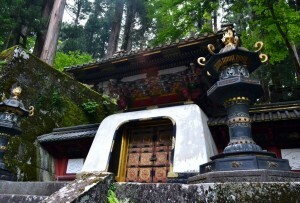 Your first stop will be Sanbutsu-do, the largest temple in the Nikko mountains. Inside the temple you will see the statues of the Thousand handed Kwannon, the Amida Buddha and the Horseheaded Kwannon. Enjoy the craftsmanship and sheer beauty of the statutes, but don’t expect to take a picture…photos inside the temples are not allowed. As you exit the temple, you can buy a book full of pictures. 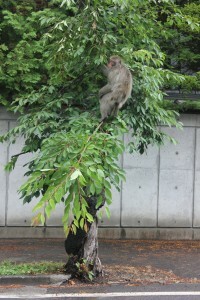 There are more than 10 temples at National Park Nikko, so plan to spend a lot of time if you want to see them all. After seeing a few of the temples, head up the mountain where you will see a giant torii – or gate. 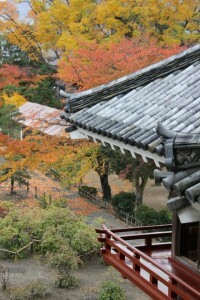 As you go through the gate, you will see the gorgeous Five-Storied Pagoda. The pagoda was originally built in 1650, but was destroyed by fire in 1815. It was rebuilt four years later. Just past the pagoda, you will see the sacred stables. Inside is a beautiful white stallion, thought to be good luck to the Japanese. 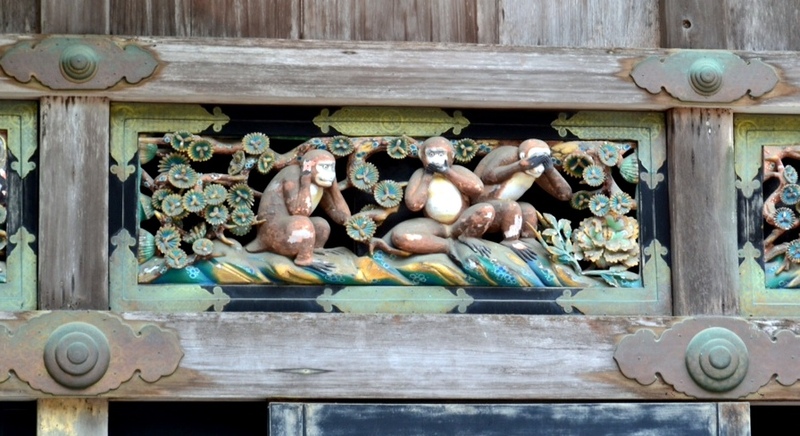 Above the stable doors, you’ll see a series of wooden carvings. 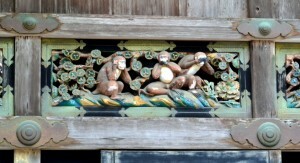 If you look closely, you’ll see the famous “See no, Hear no, Speak no Evil” monkeys. After climbing another couple of flights of stairs, you’ll go through the Yomeimon Gate, a giant structure covered in gold awnings and guard dogs. The gate is also known as the “Sunset Gate” because it is said visitors do not grow tired of viewing the gate until dusk. Inside this gate, turn to the right and you’ll see the entrance to Tokogawa’s tomb. You can’t go in without paying a small fee. But once inside, you will get to see the famous “Sleeping Cat,” and climb the 100 steps to the famous tomb. crystal-clear lake located at the top of the mountain. There are a series of quaint shops and restaurants alongside the lake. Before heading down the mountain keep an eye out for the signs to Kegon Falls. 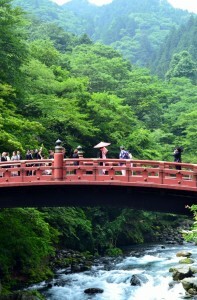 The falls are on the Ojiri River, which flows from Chuzenji. More than 300 feet high, the falls are breathtaking…and loud. – Sam Amrhein, October 2001, photos by Brooke Smith, July 2013. If you are going to stay the night, a lot of military people prefer to stay at the Turtle Inn Annex/HotoriAn (0288-53-3663, GPS I think… 36.750434, 139.592344 but can someone confirm? 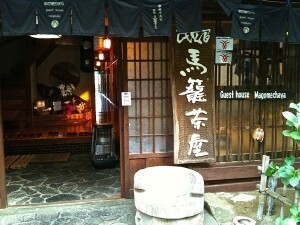 – Sarah), which comes complete with meals and an onsen. 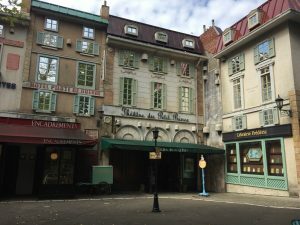 If you go during the off-peak season, you may have the hotel to yourself! We chose to stay just outside Nikko at the Woodsman’s Village, a collection of log cabins located on the other side of the mountain from the National Park. 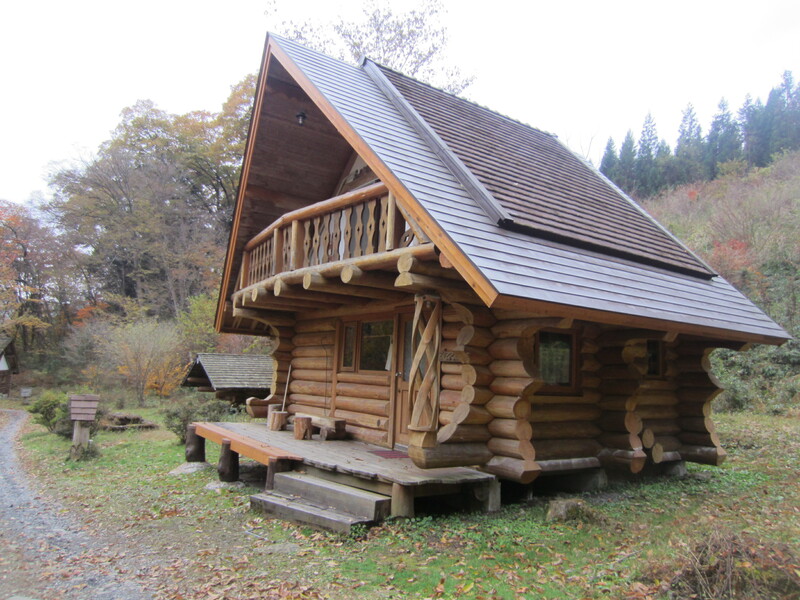 The cabins are completely made of logs, but contain all the modern conveniences from a full kitchen and full bath. No beds though, they provide futons. The cabins vary in size, meaning it would be perfect for a couple, or an entire group. The people who run the cabins speak English, so making reservations is easy. (I think that Woodsman Village GPS cooridnates are 36.669314,139.61393, but can someone confirm? – Sarah) – Sam Amrhein, October 2001; Cabin photo by Meg Martin, 2012. 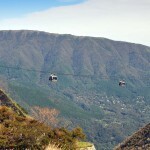 Hakone is a popular vacation getaway about one and a half hours outside of Tokyo. It is a beautiful little area nestled in the crater of a volcano. Just getting there is part of the fun. You take the Odakyu line from Shinjuku to Odawara, then transfer to a tiny railroad line called the Hakone Yumoto line that winds its way up the lower part of the volcano. 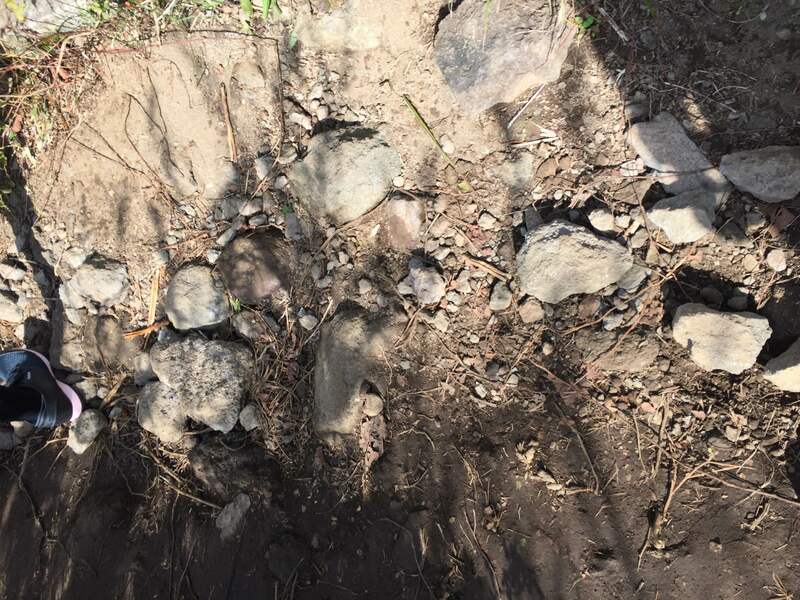 As it gets higher, it has to reverse directions several times to switchback up the steeper areas. 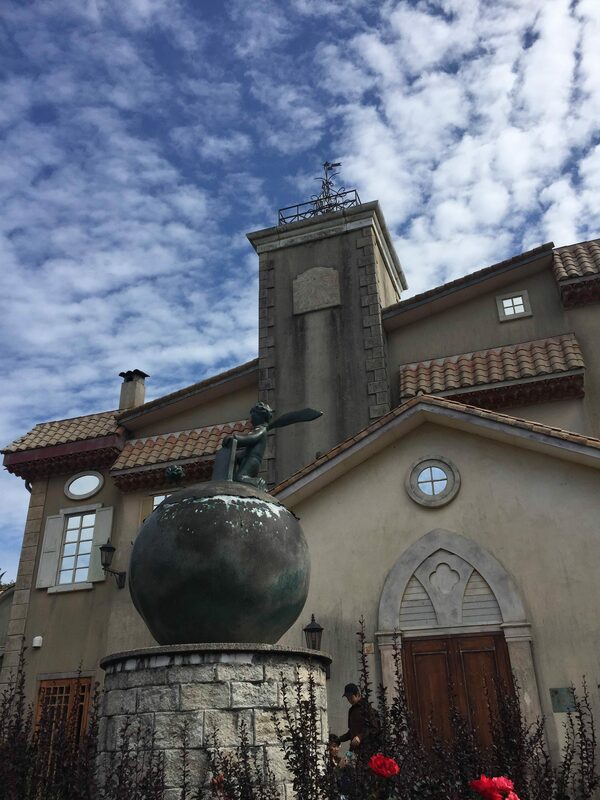 Along the way, make sure you stop for a while at the Chokoku-no-mori station to visit the Hakone Open Air Museum. 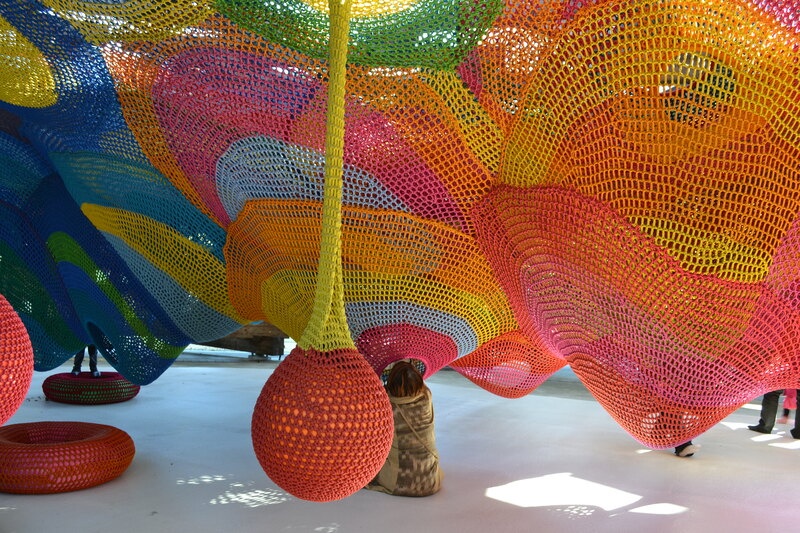 It is a beautiful art museum with most of its display dedicated to large sculptures that dot beautiful lawns. They also have a building dedicated to works by Picasso. 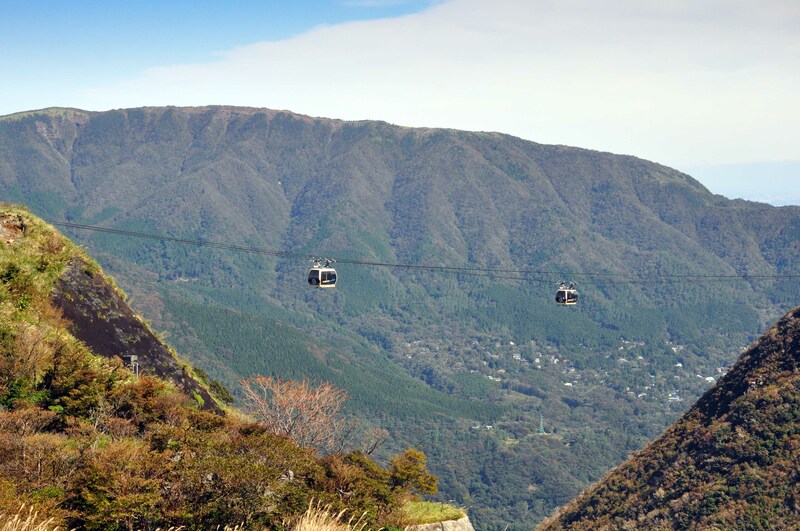 After getting back on the Hakone Yumoto line, you go all the way to the end and then take a cable car that pulls you straight up a steep section of the slope. From here there is a beautiful view of the surrounding countryside. 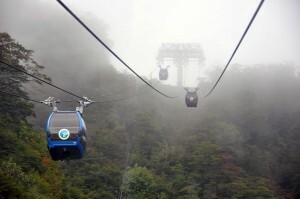 At the end of the cable car, you get on a ropeway that takes you over the crest of the mountain into the gigantic crater. Looking out the ropeway, you pass a section where they are drilling into the side of the mountain to prevent the pressure from building up and causing an explosion. 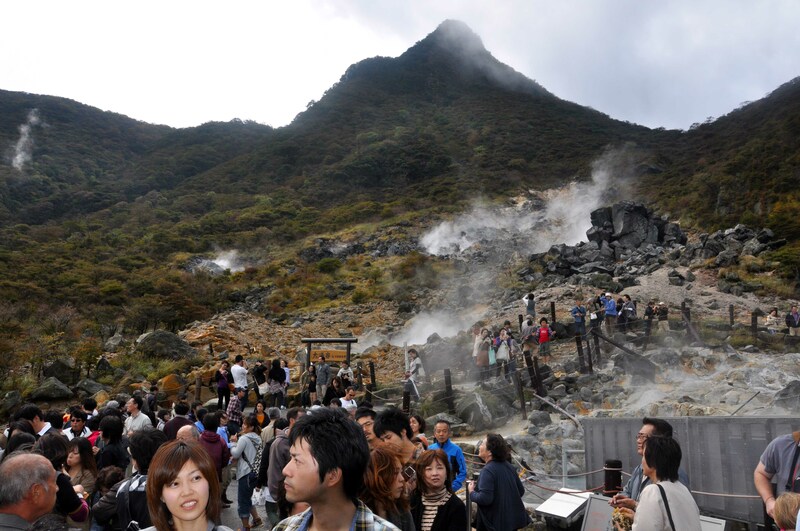 Make sure you get off at the stop in the middle of the ropeway to see the “sulfurous vapor erupting area.” Here you can take a short nature walk and see the sulfur steaming from the ground, and natural hot springs from the volcano. 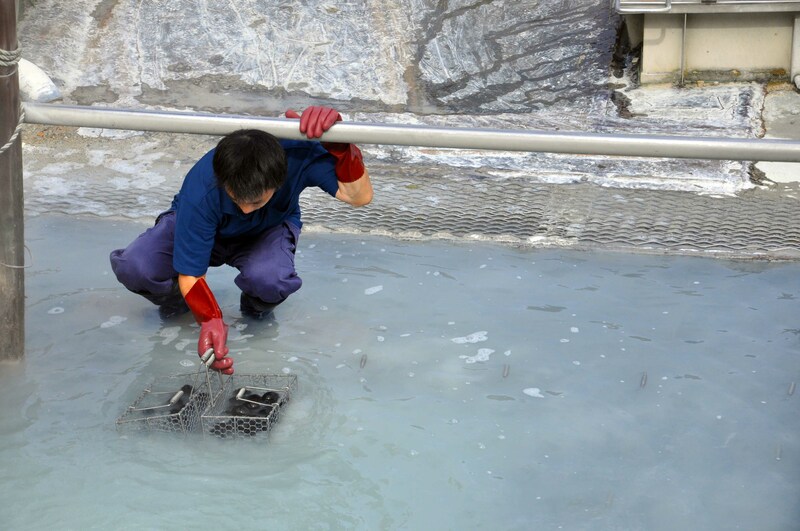 You can eat eggs boiled in the hot water which the Japanese say will help you live longer. Along the nature trail there are signs in Japanese and English that tell you such things as “This area was once covered with tall trees, but now you can find only the species which have been able to survive such things as Volcanic eruption.” The ropeway will then take you the rest of the way into the crater to Lake Ashi, which you cross on large replicas of pirate ships. Lake Ashi is a crater lake famous for its reflection of Mt. Fuji on clear, calm days. 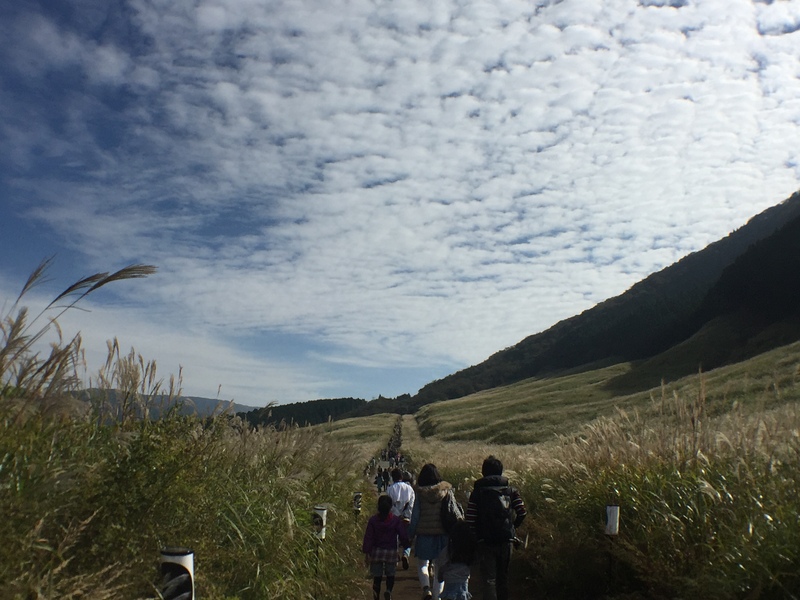 The boat takes you to Hanokemachi which is a historical area from the 1600’s, including the Hakone Checkpoint and a portion of an ancient highway that was lined with cedars to provide shade hundreds of years ago. By the time we get here we are pretty tired, so we catch a bus to the Fujiya Hotel in Miyanoshita to spend the night. 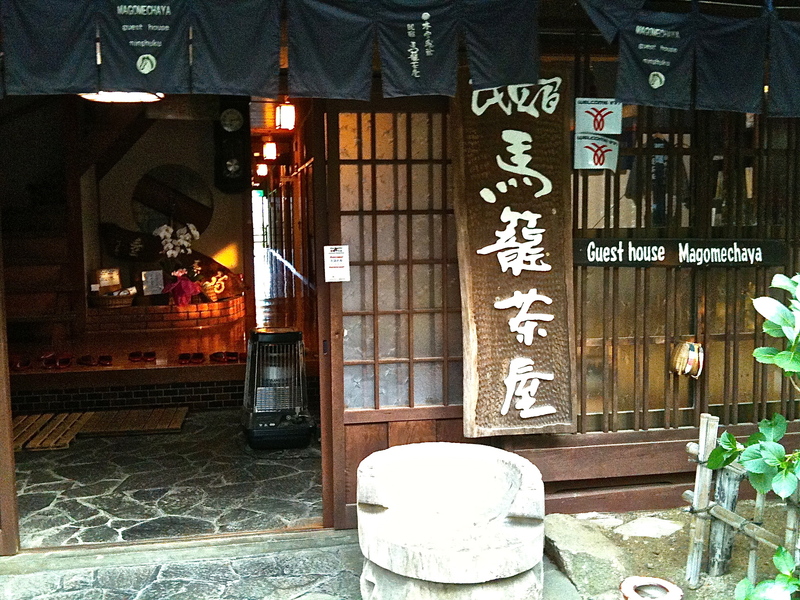 It is a beautiful hotel established in 1878, making it the oldest western-style hotel in Japan. 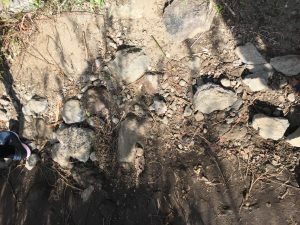 It has been visited by many famous people including Albert Einstein, Dwight Eisenhower, Margaret Thatcher, Hellen Keller, and many emperors of Japan. It is nestled among trees, and has a beautiful garden in back which is home to the only California Redwood tree in Japan. Inside the decor is beautiful, including many wood carvings. You can also bathe in the natural hot spring onsens. The next day, be sure to see some of the many other attractions in the area including the Hakone Ashinoyu Flower Center (a gigantic greenhouse with many types of flowers and other plants – indoors, so nice even in case of rain) and the Botanical Garden of the Wetlands. On our way home the next day, we stopped at the Odawara Castle. The old castle town of Odawara serves as the main gateway to the Hakone district. About a 10-minute walk from Odawara Station is the reconstructed five-story donjon (central structure of the castle). It houses a museum of historical materials, ancient suits of armor and swords, folk arts & crafts, and special exhibits. The view of Sagami Bay from the fourth floor is excellent. Open 9am-4:30pm, admission is Y200 for adults, Y100 for children. The park surrounding the castle includes a playground and small zoo. Brian & Kristen Marriott, 2001. DRIVING DIRECTIONS: Driving in these areas, especially on weekends or in the summer, can be very difficult. Traffic is extremely heavy and slow. To maximize your sightseeing time, it is well worth the effort to leave no later than 5am. To enter the Hakone district at Odawara, take Rt. 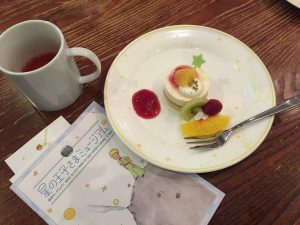 16 from Yokota south, until it joins Rt. 129. Just north of Atsugi, you will see elevated Rt. 246 and a sign for the Tomei Expressway. Turn right immediately after passing under elevated Rt. 246 – this leads to a ramp that puts you on 246. Go through Atsugi. Look for signs for Odawara/Atsugi toll road (this will be south of Atsugi). When you see the signs, it will be a right turn. You will drive parallel to the toll road for several kilometers before entering. Once you are on the toll road, you will pass through two tollbooths and pay Y350 at each. When the toll road ends, follow the signs to Rt. 1. 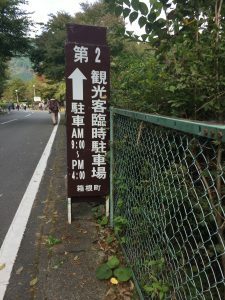 At Miyanshita (about 7km), the road will divide. The hotel is at the fork on the left. The right fork of the road will lead to Gora. The left fork will lead to Lake Ashi, which you could visit before checking in at the hotel, since check-in is not until 2pm. 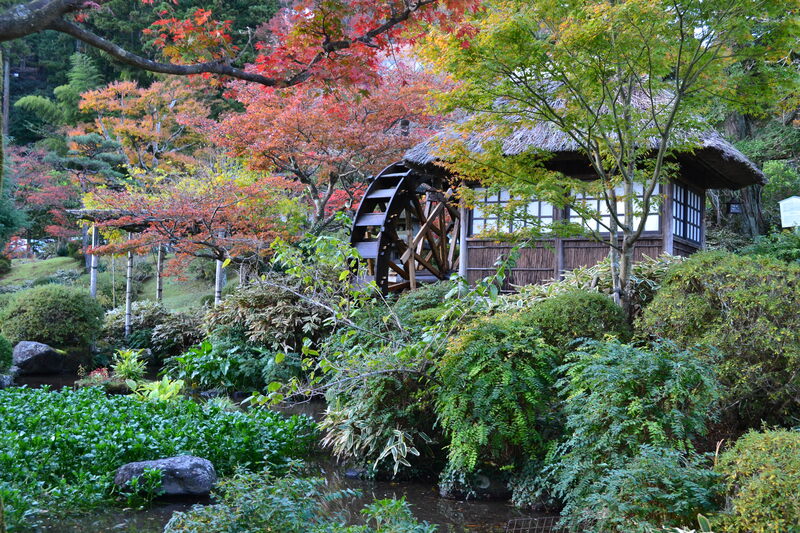 • http://www.odakyu.jp/english/ For information on Odakyu Railroad, information, including Hakone Free Pass. Hakone Open Air Museum – kids can climb up into this sculpture and run around at the very center. Sarah Straus, 2011. 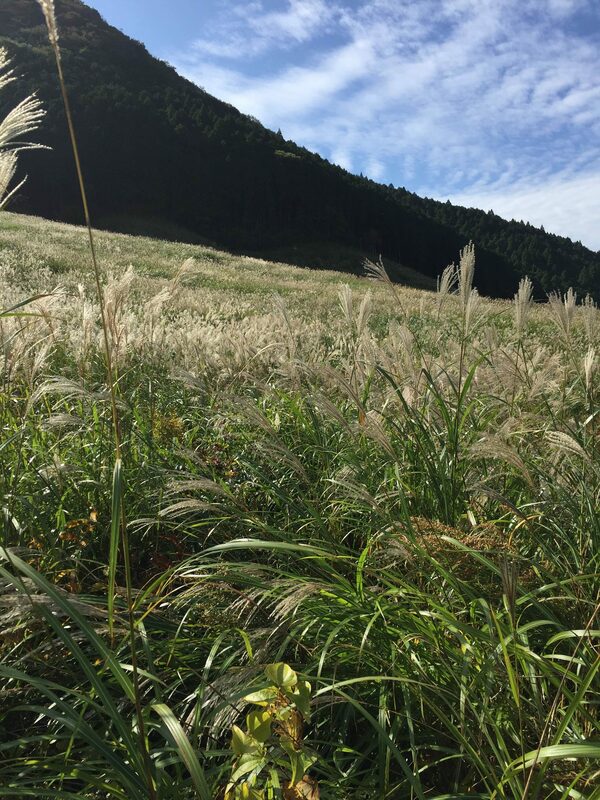 Yamanashi Prefecture is inviting anytime, but autumn is the best time to visit this scenic Japanese countryside. It’s only an hour and a half from the gates of Yokota. Known throughout Japan for its deliciously sweet purple grapes, Yamanashi Prefecture offers a ten mile drive along a stretch of Highway 20, from Katsunuma to Kofu, lined with what seems like endless vineyards. Travelers soon see the numerous stands set up to sell grapes. Select a stand and enjoy a generous taste-testing beneath a grape arbor. Customers are often invited to sit and enjoy some sweet tea. You can by grapes by the kilo or pick your own. Grape-picking equipment is usually provided. In the summer months, peaches are offered for sale along the roadside, but people are not permitted to pick their own peaches. When you decide you’ve seen one too many grapes, continue along Highway 20, past Kofu to the southwest corner of Chichibu Tama National Park. On a clear day, Mt. Daibosatsu will appear as a beacon. Shosenkyo Gorge runs through forested slopes and dramatic rock formations. It is one of the most scenic river valleys in Japan. See separate entry. 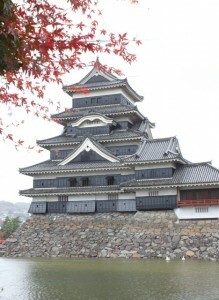 Matsumoto Castle, about 200km west of Yokota, is sure to be a hit with kids. It was built in the 1500s, and still has many tiny windows intended for firing arrows and early firearms. A gun museum is on the second floor. Visitors can climb up into the tower and have a lovely view of the moat and the city. The tourism bureau there is very active. On the castle grounds we found volunteer guides ready to give tours in English. Costumed “samurai” with long guns prowl the grounds, eager to have their picture taken with tourists. The day we were there, in July 2011, it was over 100•F, and there was a booth on the grounds giving out free snow cones! The city’s historic district lies along the river, and there were some intriguing antique/junk shops. 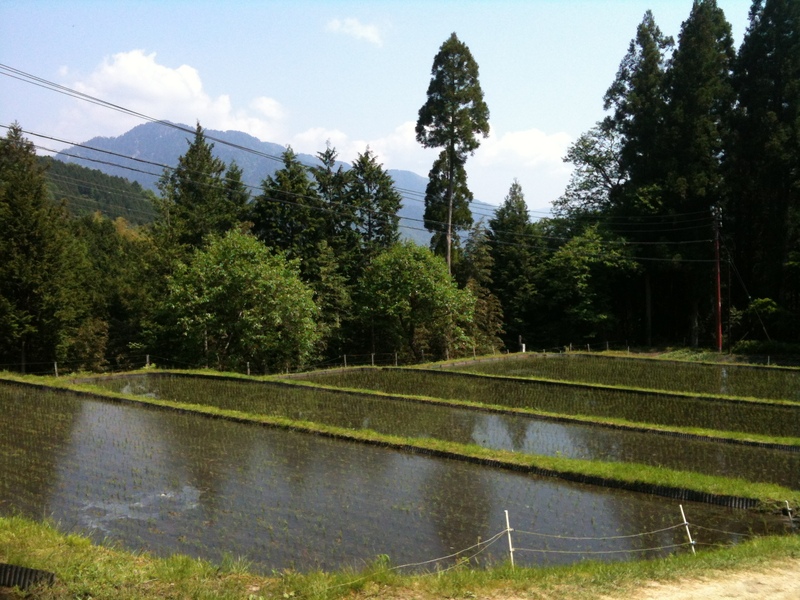 Also see the post on Kamicochi – the Yosemite of Japan. DIRECTIONS: It’s a straight-forward drive to Matsumoto, taking the Chuo Expressway & Nagano Expressway. Plot a course on Googlemaps or talk to the folks at the Yujo to get their map on finding the Chuo entrance. Alternatively, you could take the train. There’s even an semi-express train from Tachikawa, but it only leaves a few times a day.